As I mentioned last week, when I listed all 64 books that our book group has read so far, our annual selection meeting was on Thursday. Participants brought in 41 titles for us to consider, from which (after a multiple ballot process) we selected ten to read during our 2015-2016 year. I’m going to list, first, the ten books that made the cut — our short list. Then, I’ll list the other 31 books that we considered — the long list. 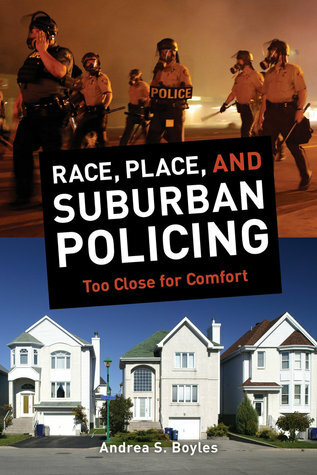 Race, Place, and Suburban Policing by Andrea S. Boyles. A very local choice — this book resulted from interviews in the historically black neighborhood of Meacham Park which was annexed by Kirkwood, the city where we meet, in 1991. Red River by Lalita Tademy. A novel based on a historical event in Colfax, Louisiana — near where one of our members grew up. Black Man in a White Coat: A Doctor’s Reflections on Race and Medicine by Damon Tweedy. A memoir by a black doctor. Fire in Beulah by Rilla Askew. A historical novel about the Black Wall Street and the Tulsa Riots. This will be our Black History Month selection. Citizen: An American Lyric by Claudia Rankine. A modern artistic literature approach to race. We’re using this as our Women’s History Month selection. Soul Catcher by Michael C. White. Another historical novel (we ended up with more than our usual number this year, I think) — this one is about a woman who escaped slavery and the man tasked with her re-capture. Americanah by Chimamanda Ngozi Adichie. A novel about lovers separated by post-9/11 politics, set in Nigeria, the US, and Great Britain. Power Concedes Nothing: One Woman’s Quest for Social Justice in America, from the Courtroom to the Kill Zones by Connie Rice. Memoir by a Civil Rights attorney, including her work with the LAPD to address many of the same problems that we’re looking at now in the St. Louis area. Claire of the Sea Light by Edwidge Danticat. A novel set in Haiti about a missing child and the community that misses her. Okay. Now for the long list. I’ll just give titles and authors for these — check Goodreads for descriptions and reviews. Freeman: A Novel by Leonard Pitts, Jr.
It’s so hard that we had to leave some of these on the table! Do you think we ended up with good choices for the ten books we’ll be able to read and discuss? Those look good to me. When I skimmed your list last week, I thought you didn’t have many novels, but this time it looks like you have quite a few novels in there, including in the final 10. Sad to say, but I’m not much of a nonfiction reader, but it looks like you have a good selection there. These all look very good! 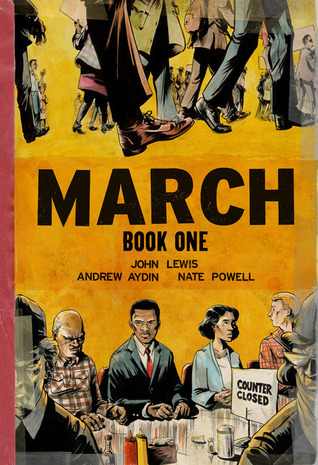 I am a fan of books that spotlight Civil Rights or Women’s issues. Wow! There are so many books that you considered. How many suggestions could each member make? I might pick up March for the upcoming readathon. I finally figured out last time that graphic novels are the ways to go! We say 3 books per person, but no one follows that…. That looks like a really good list. I have been in groups that pick them all at once and groups that pick one at a time. I prefer the second approach. It feels better to choose based on how I feel at that time. Wow. Great list with lots of diversity (on several levels!) I highly recommend the graphic novel March Vol 1 and Vol 2. I’m waiting for Vol 3 rather impatiently! Anyway, just found your blog and am finding it hard to stop digging around. Thanks for doing such a good job!